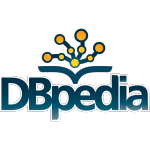 Thank you for your interest in DBpedia. Please fill in the fields below to subscribe to the DBpedia Newsletter. Please note, subscriptions to our newsletters can be canceled any time, send us an e-mail or use the unsubscribe link, attached to each newsletter edition. How can I contribute my data, links and ideas to DBpedia? The DBpedia Association will use the information you provide to be in touch with you and to send you QUARTERLY updates and marketing info. Personal data is required to collect the various interests of the DBpedia community as well as to get a general overview of the community’s concerns. These personal data shall not be disclosed to third parties. Other information you supply is on a voluntary basis. Please click below, if you like to receive e-mails (quarterly) from us. We will treat your information with respect. You can change your mind and exercise your right to withdraw your consent for further use of your data at any time by clicking the unsubscribe link in the footer of any email you receive from us, or by contacting us at dbpedia@infai.org. For more information about our privacy practices, visit our website. By clicking below, you agree to processing your information in accordance with these terms.